elusive X is still there. Hello Everyone! 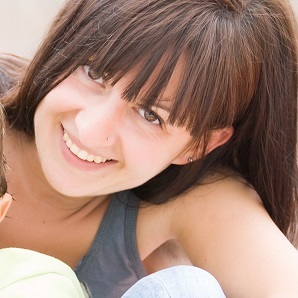 I´m Elena F , I´m 41 and I live in the Basque Country with hubby, our 2 kids and a baby. I work full time in the only newspaper that is published entirely in Euskera (our oldest than Latin official language) but now I´m happily to have a break. Since I can remember, I spent time doing all kind of crafts and colouring. I also sew, knit and crochet when I can. I think what I enjoy making the most is doing handmade gifts. 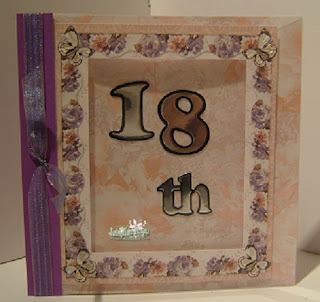 Craft (specially scrapbooking) is my hobby and I love copic colouring. (SCRAP-lanak GANBARAN; that means scrap works in my storage room). Thank you for having me as a Guest Designer!. Thanks to all the readers / followers too for being here. Elena F.
Elena has chosen the following letter for you. #41 Butterflies + N is for Numbers. So I would like to see a number or numbers on your project. The number could be to celebrate a Birthday (age) or an Anniversary for example. 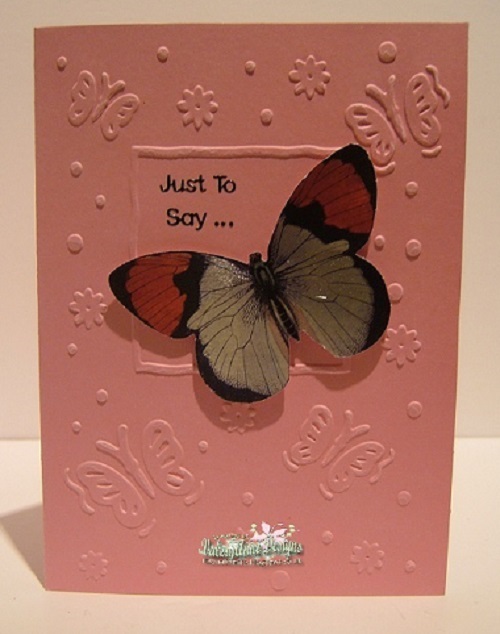 You can interpret any way you wish and add any embellishments + your butterfly of course. Here is Elena's project for you. vellum pocket and used the number 10.
to see the techniques that were used. with acetate for this 18th Birthday card. Elf Candy is still also running until 31st Oct.
Six new players fluttered in this time . 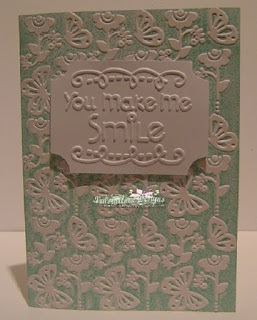 E for Embossing certainly went down well. 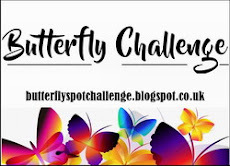 fluttered by unbeknown to me. with two minutes to spare to the witching hour. from all the lovely entries. 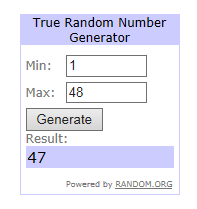 It certainly pays to being a nearly last entry. 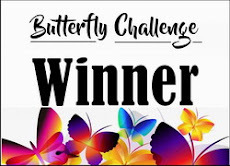 Please also take you Winners Badge from the side bar. Hope to see you all back in # 41. 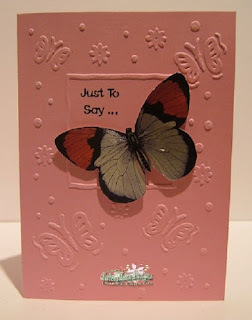 #40 Butterflies + E is for Embossing. Only 5 letters left now to go and X is still there! 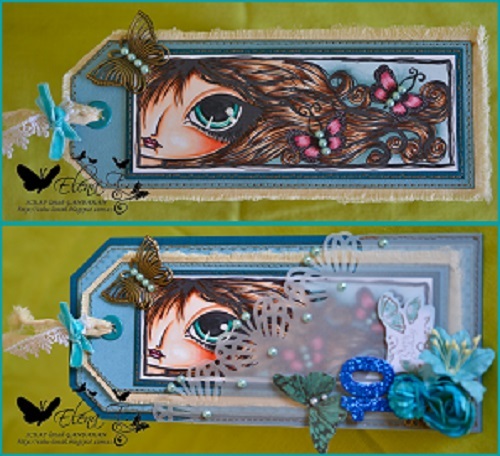 Hello crafters, Vinita here from New creations! 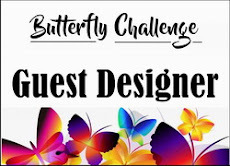 It is a great honor as a Guest Designer for the Butterfly Challenge! Thank you so much Mrs. A! 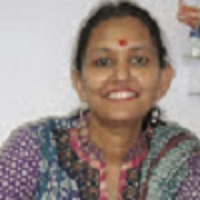 I live in Delhi (India), a retired Kindergarten teacher, mother of two grown up children (aged 21 and 19). Drawing, crafting, use of waste material and painting have been a passion for me since childhood. 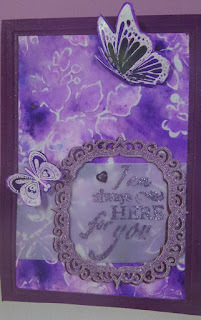 I’ve been blogging since last two years and love my crafty friends that I’ve met through that hobby. I don’t really have a ‘style’, I love playing with papers and new techniques! And Thanks again to ValeryAnne! Big Hugs to you all and I look forward to seeing your Butterfly + Embossing projects! Vinita has chosen the following letter for you. 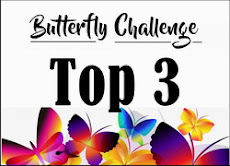 along with the required Butterfly/s of course. 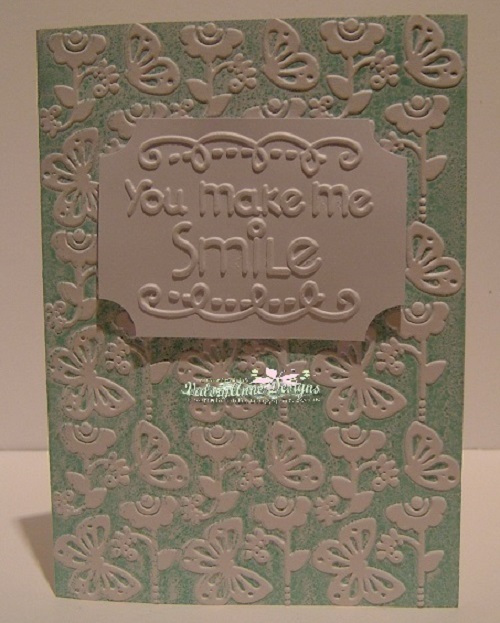 Here is Vinita's card for you. Several new followers have lighted here. Welcome o my Butterfly World. But here they are in numerical order. Hope to see you all back in # 40.